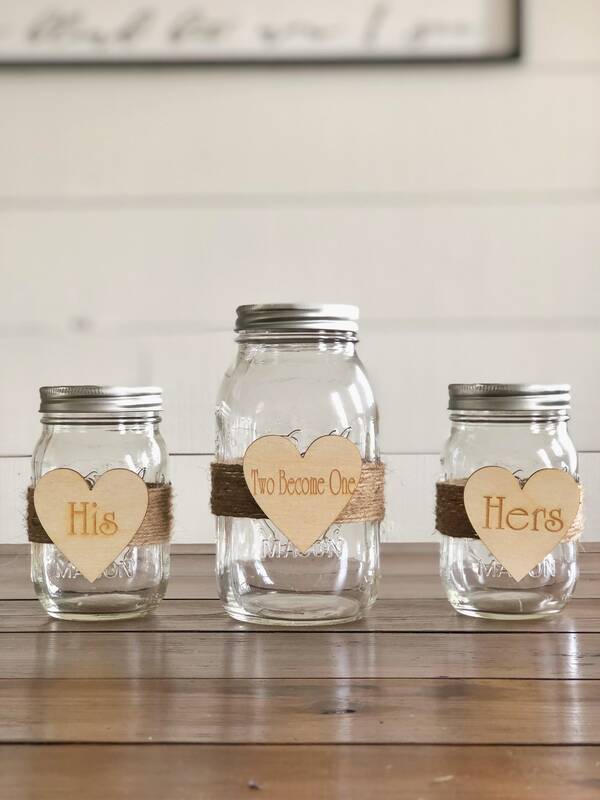 This listing is for a set of 3 laser engraved hearts OR a complete unity mason jar set. Please select desired style upon checkout. 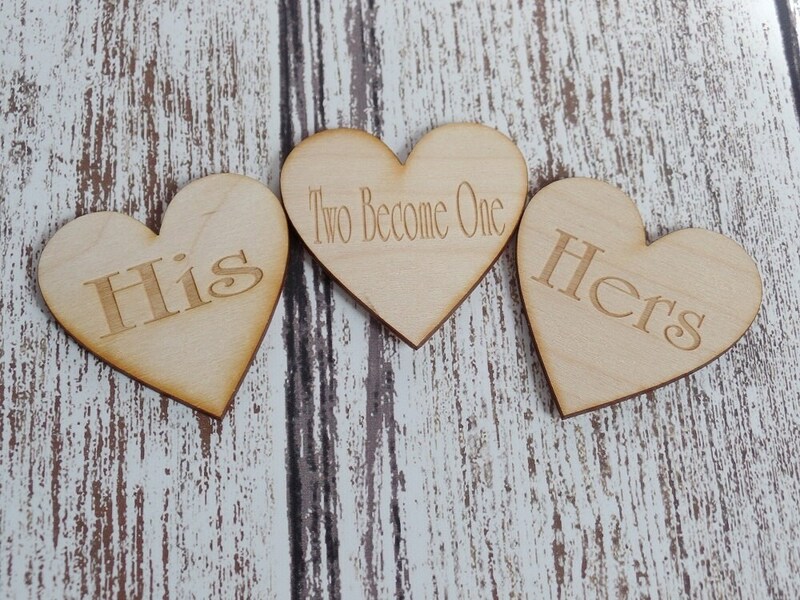 If you select ♥Hearts Only♥ you will receive (1) 2.5" engraved HIS heart (1) 2.5" engraved HERS heart and (1) 2.5" engraved Two Become One heart. 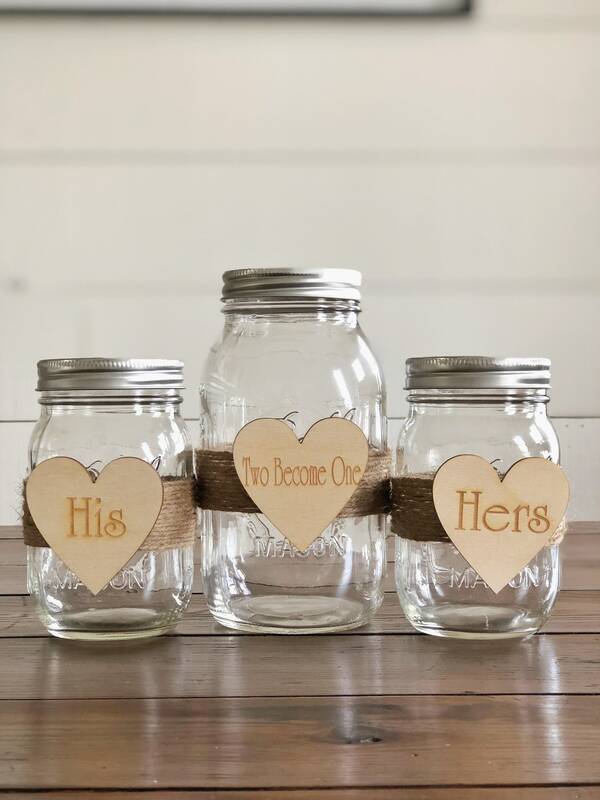 If you select ♥Hearts+Jars♥ you will receive (1) pint size mason jar with twine embellishing and 2.5" engraved HIS heart (1) pint size mason jar with twine embellishing and 2.5" engraved HERS heart (1) quart size mason jar with lid, twine embellishing and 2.5" engraved Two Become One heart. 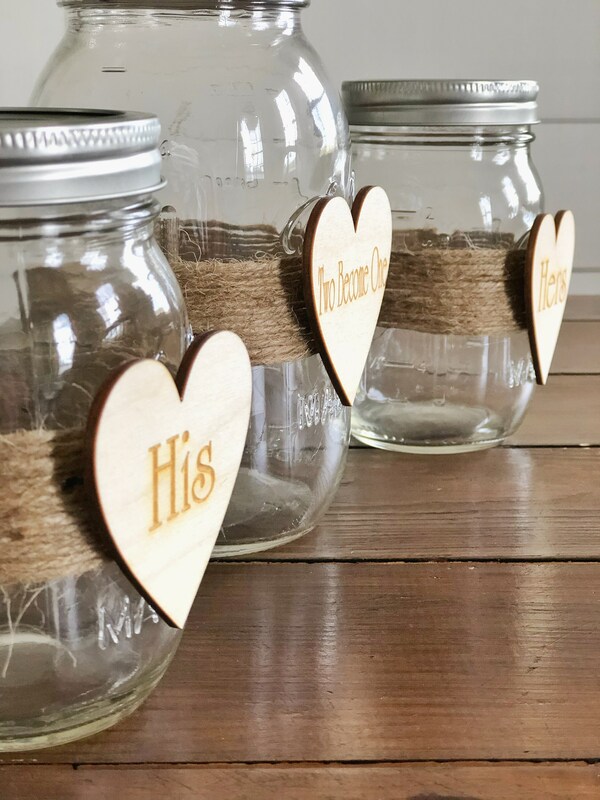 Each wood engraved heart measures 2.5" x 2.5"
I bought the hearts only so I could make a DIY sand unity set with all the mason jars I have at home. So glad I bought them! They were perfect. The unity sand hearts are adorable. They are true to the picture, awesome quality, and took about a week or so to ship, then an additional 3 days to delivery. Would buy from this seller again. Incredible quality, this set is exactly what my fiancé and I were looking for to use in our September wedding. We love them, thank you!! Shipped on time. Packaged great to ensure no breaking during delivery. 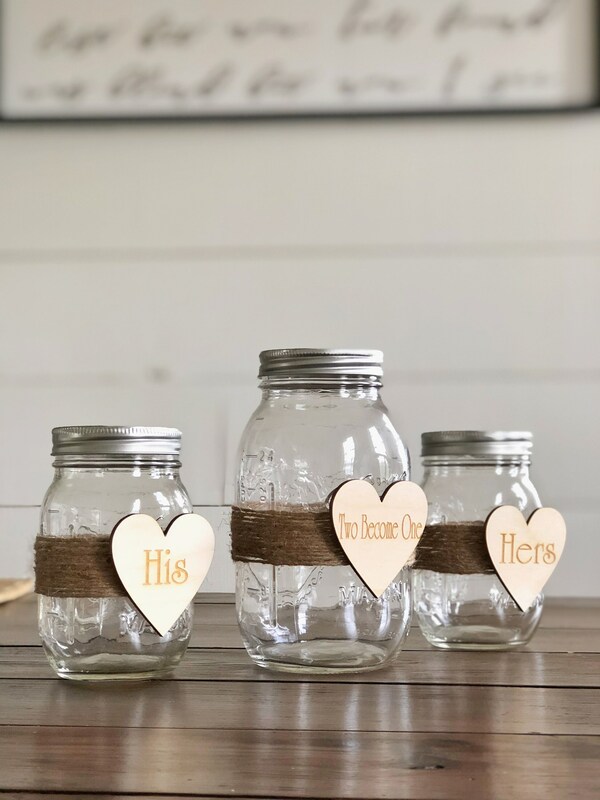 Exactly what I wanted and so excited to use this for our wedding! Thank you so much!! They are perfect, they came shipped in bubble wrap which was comforting! I had trouble getting them because the post office wouldn't leave the package at my home. When I was able to go pick them up I am very satisfied!